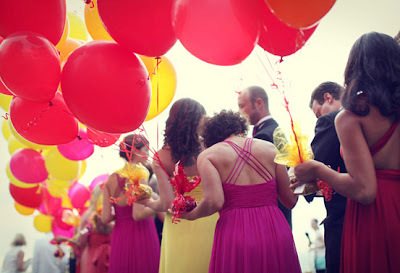 Over-sized balloons seem to be floating around the wedding space as a prop for photos. 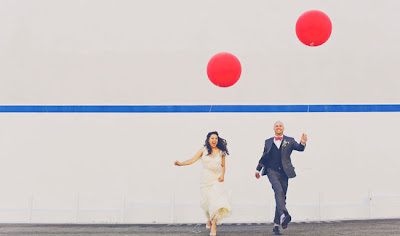 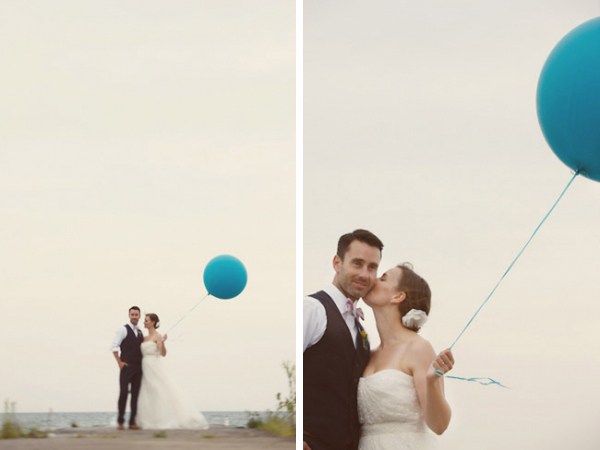 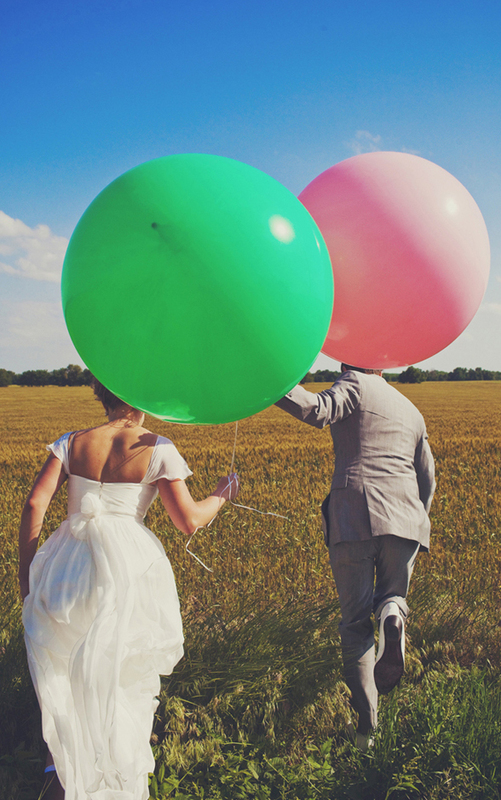 Brides and grooms are taking hold of gorgeously colored balloons for their engagement photos, wedding photo sessions, and even for decor during their ceremony or reception. 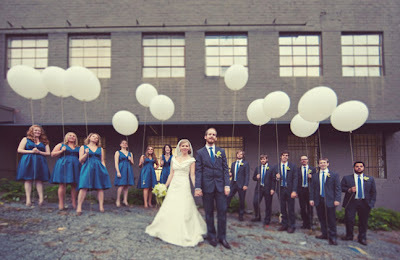 They add a certain whimsical and carefree look, and go along with the huge smiles on the newlywed's faces, dont' you think?